Subject: Re: MANDATORY ARBITRATION as to NURSING HOME DISPUTES” – IT IS TIME TO DRAIN THE SWAMP! We have several issues in regard to the nursing home situation. The most important issue is the care of sick people. By in large unless the patient has no serious illness and has an advocate everything is expensive but good. However, the more reliance that is placed on the facility the more dis-satisfied is the patient and his/her family. A Second Issue is the care of victims of elder cleansing, seriously ill patients, and long term care patients. This is the major source of problems. The problems cover the waterfront. This is the place where a nursing home operation can either have serious cash flow problems or be a cash cow. Mr. Jaycox came into the quagmire because of MEDICAL MALPRACTICE. – i.e. he was given a drug which had a side effect that went undetected (the cause of the malady – side effect – was undetected. No medication could treat the side effect as the doctors kept prescribing the drug that was creating the side effect. Of course the nursing home (and its doctors) never put two and two together and thus joined in the malpractice. Ditto for the RN’s – who really were a figment of the imagination of the State of Illinois and the operators of the nursing home. This medical malpractice should not be the subject of arbitration. The nursing home solved the problem. They just obtained prescriptions for high powered sedatives and pain killers – probably opioids – forgot to put up the protective bar and waited for Jaycox to fall out of bed. He did. The first time he hit his head, however, the second time he broke his hip. The sedatives slowed down Jaycox’s complaints and disabled him. A shrink was brought in to perjure himself claiming that Jaycox was incompetent. The shrink exposed his deception and fraud. The consent for the operation to repair the broken hit was given by the Shrink to Jaycox to sign. Swedish Covenant Hospital accepted the competency of Jaycox and did the operation to repair the now broken hip. The guardianship hearing stalled when on cross examination the deception was revealed. Jaycox then = almost immediately – suffered an aspirated pneumonia. He was fed while in a prone position and food particles were aspirated into his lungs. THIS WAS FATAL! No arbitration is effective to deal with this criminal behavior on the part of the nursing home. NB. Of course it did not matter — complaints to Illinois authorities appear to be ignored. Jaycox’s body was cremated almost before it got cold! I wish I could say that the Jaycox saga was an anomaly – IT IS NOT! iSSUE 3 – RUN Of the Mill incompetence and malpractice. As the injured party is old and has a limited life expectancy the five years plus or minus that it takes to get a case to trial is hardly appropriate. Here arbitration might be something to consider. All that any lawyer wants is a level playing field. The current prospect in most of the cafeteria courts (from Probate to Traffic) is deplorable. In the probate courts, and in particular guardianship proceedings we have as an example the MARY Sykes 09 P 4585 (Cook County, Illinois) as an example. 755 ILCS 5/11a – 10 sets the jurisdictional standards. The presiding jurist, on page 91 of her evidence deposition freely admitted that she was wired, and the court record piece by piece connotes a conscious attempt to deny the victim any semblance of due process. Corrupt ruled supreme and with the aid of 18 USCA 371 conspirators continues to prevail not only in the Sykes case but dozen of other situations – not only in Illinois but in most States of the Union. As citizens become aware of their rights, lawyers are filing lawsuits to seek redress for the multitude of injuries received by the casualties of the WAR ON THE ELDERLY AND THE DISABLED and the Opioid addiction that is fast becoming a stable in the ELDER CLEANSING scenario. Opioids turn the elderly very quickly into zombies. As Zombies they are very manageable and maximize profits. Getting to Court takes years. Arbitration is almost immediate; however, it can be misused. The argument is expressed in the following article. My problem with the article is the fact that it does not address the fact that the corruption is so pervasive that it is not unusual for the nursing home moguls to have Judges on their payroll as well as scores of judicial officials. It also appears that many of the people who are fighting arbitration are political elite who profit greatly by the corruption in the Courts that is eating away America’s core values. Remember Philip Esformes – a small potato in the Nursing home industry, was indicted only for his South Florida operations in which he stole a BILLION dollars from Medicare. How much has been stolen in other nursing home operations in Chicago, *******. Take a look at the which candidates the more prominent nursing home operators donate large sums of money — just about every pol who is against the Administration'[s position is on the list! Coincidence? The American Bar Association has asked that a proposed Centers for Medicare & Medicaid rule authorizing mandatory, pre-dispute arbitration in long-term care admissions contracts not be implemented. In a letter (PDF), sent Monday to administrator Seema Verma, the ABA advocated for CMS retaining its current rule, which prohibits long-term care facilities from entering into binding arbitration agreements with residents until after a dispute arises. The Trump administration introduced the proposed rule change in June. That was in response to a 2016 Health and Human Services rule under the Obama administration that prohibited federal funding for nursing homes requiring residents to resolve disputes in arbitration. 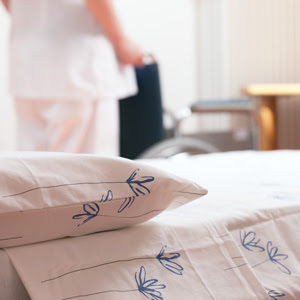 A motion filed by various nursing home groups to block enforcement of the rule was granted in November by a U.S. district court judge in Mississippi. The ruling was appealed, however, in June, the court granted a joint motion to stay (PDF) district court proceedings, pending completion of proposed rulemaking. If implemented, the proposal would harm residents’ rights and interests, the ABA letter states, and the current rule fits the recent U.S Supreme Court interpretation of the Federal Arbitration Act. Some believe the high court’s May 17 opinion(PDF) in Kindred Nursing Centers v. Clark prohibits bans on pre-dispute binding arbitration in long-term care admissions contracts, but that view is “mistaken,” the ABA letter states. In the Kindred opinion, the court found that under the FAA, arbitration agreements may only be found invalid based on legal rules that would apply to any contract. “While Kindred clearly prohibits singling out arbitration agreements for disfavored treatment, nothing in the court’s reasoning or under the terms of the Federal Arbitration Act require singling out arbitration agreements for favored treatment. Yet, that is exactly what CMS is doing by its proposed total embrace of mandatory pre-dispute arbitration provisions in admissions contract,” Thomas M. Susman, director of the ABA’s Governmental Affairs Office, wrote in the letter to Verma. Also, 31 U.S. senators, led by Al Franken, D-Minn., and Ron Wyden, D-Ore., have asked that the CMS rethink the proposed rule. It may be that the regulation or lack thereof is premature. Maybe we need HONEST and vigorous enforcement of the Law and the punishment of the criminals who have created a 700% fraud surcharge on the cost of health care. Not all ‘fake news’ involves the Political field – it is everywhere and anywhere. The propaganda machine works 24 hours a day. Sometimes the approach is obvious, other times it is subtle, and yet on other occasions the facts are recited just a little bit off center so as to create a false impression. As you know because of certain litigation involving nursing homes, and a stretch at representing the principals of a few nursing homes I got to view the bodies. In a statement, Quality Care said it had delivered a notice of default to HCR ManorCare, its main tenant, regarding the missed payment, which Quality Care said triggers immediate payment of $265 million in additional overdue rent. Comment: this gambit is typical – it induces the investors to be more adaptable and more willing to accept payouts. HCR ManorCare spokeswoman Julie Beckert declined to comment on the threat of receivership. U.S. nursing homes have struggled to reconcile a tumultuous, low-margin business with declining reimbursements and increasing costs for medical supplies, insurance, aging buildings and litigation. Comment: Notice the loaded word: “low-margin” With the Nursing home moguls supplying all the materials for operation, the expenditures are very adjustable. The Utilities are supplied by Multiuit. Operation Draiman can set prices at will. At one point in time he choose not pay his supplier and went into Bankruptcy himself. In a similar manner the Nursing home moguls own a company that supplies nurses, another linens, another pharmaceuticals, another janitorial, another insurance, another management ******. Want a profit – lower the costs of supplies! Want a loss – raise the costs. The profit and loss is all fictional. The real costs unadjusted are about 2000 a month, and the billings in excess of 7000 a month for the welfare clients to 15 – 20,000 a month for the better heeled. (Physical Therapy for instance in many of the Venture 2 and 3 homes consists of placing the patient in a wheel chair and letting him/her sit in front of the television for an hour or so. In the 4 homes, it is sufficient to wheel the patient out in the hall. To protect their investments, lenders and landlords of distressed healthcare operators can ask the courts to appoint a receiver to take control of the business in the event of a default. In the case of Toledo, Ohio-based HCR ManorCare, Quality Care said the default allows it “to terminate the master lease, appoint receivers or exercise other remedies with respect to any and all leased properties.” Comment: This persuades the investors to take just about anything for their interest. HCR ManorCare — which also operates assisted living facilities, memory care communities, outpatient rehabilitation clinics and home health care agencies across the country — confirmed ongoing discussions with its landlord. In addition, HCR ManorCare received a $550 million loan from Centerbridge Partners this week to repay an existing term loan and outstanding loans, Beckert told Reuters in an e-mail. Quality Care Properties was spun off from HCP Inc, a large healthcare real estate investment trust, in 2016 as HCR ManorCare was in decline. Comment; here we go – confirmation of the change in Venture! The impression given by the article was that one of the nursing home groups was in serious trouble and faced possible involuntary liquidation. Such would be a possibility if in fact there was interaction between non-related competitors of such a nature. Here in Chicago, the group of nursing home moguls is quite small and has a religious orientation. The group that I investigated has an orientation that claims to be Jewish Orthodox. A neighbor (in Sauganash) works for a group that has a different religious orientation. Both groups are aware of each other and there is a degree of co-operation. My experience is solely limited to the Jewish group. However, it is my understanding that the reach of the Moguls that I am familiar with extends one way or another into the nursing homes of the other groups. A person who has not had the opportunity to examine the operations of the ‘for profit’ nursing home operation, but who has some knowledge of business would be seriously misled by the article. The loaded word: “ thin margin” is completely verifiable as every cost is augmented for Janitorial to nursing care. If you are into fiction, you will believe that there are Physical Therapists treating every resident twice a day, speech Therapists falling all over themselves, and kosher gourmet food served 3 times a day. Visit a nursing home and observe the wheel chairs lined up around the television set, or the patients doped to the gills lying in bed developing bed sores. One thing you will find – almost every patient is being tranquilized at great expense and real doctors are as rare as moon landings. That said, there are ‘special care’ patients. These individuals are people with ‘clout’ or in the facility for a short term. Knee operation and similar patients are given royal treatment. The get real food and real care – of course they also have family advocates who wander in at hours of the day and night. A family advocate has no problem making trouble and unless his/her ward is treated with respect et al serious problems can and will occur. In certain situations, the family advocate might actually have more clout than the nursing home operator = and then ******. Visit a nursing home at a time when you are not expected to visit. Make the visit a surprise, and get away from the areas wherein the staff is comfortable with you present. The ‘fake news’ story will become evident. “Fake News” does not have to be Political and does not be directed at President Trump. It is what we used to call propaganda or misleading. It has been around forever, but today much of it is protected by POLITICAL CORRECTNESS and the balance by pure clout. The article supra is just part of the ‘fake news’ chain. We do not have the entire chain as you and I are not the targets, except, the nursing home industry is embarrassed by the obscene profits that they earn and the disclosure of their activities. This does not mean that they will not continue to bring in the vote for the political elite and cease being a source of extra income for Judges, *****. 2. Official entities of the STATE OF ILLINOIS were actively aiding and abetting the criminal human trafficking. I, of course, knew that in the Mary Sykes case the attorney for the guardian appointed sans ‘due process” and both the Guardians at litem were alumni of the Public Guardian’s office. I also knew that the ‘elder cleansing’ of Mary Sykes 09 P 4585 and the accompanying theft of government health care funds was aided and abetted by the Illinois Attorney Registration and Disciplinary Commission – a entity under the supervision of the Supreme Court of Illinois. However, up until known the malevolent activities of STATE OF ILLINIOIS entities was clandestine. The evidence was circumstantial – though obvious. The incidents in which there is a direct tie-in between the corrupt public officials (usually State employees) and the criminal element up until the most recent of times has been more implication, conjecture, and speculation. Public officials were ashamed to be observed fostering “ghost” employment, bribery schemes, trading of favors, etc. The Judicial elite at the very least tried to maintain an appearance of integrity. Indeed, misrepresenting a SCOTUS decision was subtle and the author of the misrepresentation actually read the case. In the JoAnne Denison Petitions, Jerome Larkin in his Petition to the Supreme Court of Illinois seized on one of the rejected arguments in the SCOTUS Alvarez case and cited it as the SCOTUS’ ruling. Of course, Larkin never apologized to either Ms. Denison or the Court for his obvious misrepresentation of the Alvarez and Sawyer cases. The state of morality in the State of Illinois had been reduced to the nadir and the RULE OF LAW and the Constitution were mere technicalities. The Soviet Gulag had reached its full maturity. Indeed, the media, the civil rights organization, the legal associations (such as the American Bar Association, Illinois Bar Association, Chicago Bar Association) et al were silent. Some actually appeared to be denigrating citizen and lawyer efforts to defend the Rule of Law! The ABA, when it appeared that comments were running 100% against its preferred position of attornment to the most corrupt members of the Judicial and Political elite, shut down the comments and ultimately removed their article. THE ASSAULT ON THE CONSTITUTION OF THE UNITED STATES OF AMERICA, the CONSTITUTION OF THE STATE OF ILLINOIS, the RULE OF LAW and the Canons of Ethics (Rule 8.3) was attorned to by the American Bar Association AND the opinion makers. The foregoing is terrible – however, in my previous e-mails I beaten this dead horse before. The foregoing is in the category of “old news!” What is not in the category of old news is an explanation of why this category of political correctness not only prevails but flourishes. The answer: “Because I can” begs the question. Of course he can. In the Mary Sykes case 09 P4585 (old news) the presiding judge in the case admitted that she was bribed (i.e. fixed, wired – see page 91 of her evidence deposition). Her punishment: she was elevated to the Appellate Court of Illinois in recognition of her service to the WAR ON THE ELDERLY AND THE DISABLED. The two guardian ad litem who ‘covered up’ the fact that 755 ILCS 5/11a – 10 was almost completely ignored by the Court, the attorneys, the two guardian ad litem, the media, law enforcement *****, were rewarded with a “ tax exempt” share in the booty stolen from the Mary Sykes Estate and very substantial fees from the Estate. The co-conspirators, such as Jerome Larkin and his lackeys at the IARDC, still continue to silence mention of the rampant ELDER CLEANSING going on at the Circuit Court and it is assumed that they do not perform their extraordinary services for ‘free!’ 18 USCA 371 has not as yet been applied to them, and they are all laughing at us (the great unwashed) as they currently enjoy the illegal fruits of the WAR ON THE ELDERLY AND THE DISABLED. The words: “because I can” also are telling as they point out the malady of the system. How can it be that a group of people ‘temporarily in power’ can exert such nefarious influence on the lives of the ELDERLY AND THE DISABLED. Indeed, no one is exempt! Any person, including the members of the corrupt Judicial and political elite can be literally stolen off the street to be ELDER CLEANSED! Even the man who uttered the words: ‘because I can” can be a victim of this horrific trafficking in the elderly and disabled Americans. (Yes, even President Trump can be a victim – in fact some of the cabal have been quite candid as to their efforts to enroll him into the legends of zombies created by the ELDER CLEANSERS. The words “because I can” also connote the fact that few escape the cabal and the gulag. Upon entry into a sheltered care facility, the victim is administered a tranquilizer – usually an Opioid. This administration provides the victim with aid in adjusting to his/her new surroundings. The addictive effects are an added bonus to the gulag effect and reducing the victim to a zombie keeps the costs of operation of the elder cleansing facility profitable. It also assures that come election time, the elder cleansed individual VOTES for the right political candidate. “Basically, I have a commodity; my commodity is nursing home patients,” Borrasi explained. He (sic Dr. Borrasi) didn’t know it at the time, but federal agents were secretly recording that meeting. One of the doctors was wearing a wire as Borrasi matter-of-factly explained the mechanics of patient brokering to physicians in his medical group. While taxpayers paid millions of dollars in fraudulent Medicaid and Medicare bills, one Alzheimer’s patient was given inappropriate brain radiation treatments, a Borrasi associate told federal agents. A second patient, a disoriented elderly woman, was sent to an acute psychiatric ward after she refused to eat in her nursing home dining hall, another medical professional told federal agents. Thus, in Summary – we, the great unwashed, are a commodity! Therefore, just like peaches, and nuts we are there for the Political and Judicial Elite to exploit – or be the victims of human trafficking. The 700% fraud surcharge i.e. 7 dollars for every dollar spent on health care to the political sophisticated is a small price to pay for the “billions” of health care dollars that will flow into their pockets! It does not matter if you call the vehicle OBAMACARE, TRUMPCARE, MEDICARE, MEDICAID **** the vehicle for those who consider themselves the “best and the brightest” to unjustly enrich themselves is a fact of life. Supra and Infra may both be politically incorrect, but America elected PRESIDENT DONALD TRUMP to end this façade. The concept of cleaning the swamp means more than replacing the cancer, but restoring the integrity of health care and eliminating the profit from the corrupt political and judicial leaders who have fostered elder cleansing and the WAR ON THE ELDERLY AND THE DISABLED. Health care is supposed to aid in the treatment of disease and illness – it is not a tool for human trafficking, exploitation and abuse. We, the great unwashed have a vital stake in putting the health care cabal out of business not only here in Illinois, but in every State in the Union. Since you are not an attorney your expose of corruption in the Illinois courts cannot be labeled by Mr. Larkin and the Illinois Supreme Court as being akin to yelling fire in a crowded theater. However, even though the people you are exposing are all PUBLIC FIGURES and commenting on people who run for election cannot claim defamation protection, in the Cook County environment you can expect and will be subject to harassment by those who have breached their public trust and those who act in conspiracy with them. It is the total lack of a moral compass that the Political and Judicial elite display that prompts me to forward you e-mail to law enforcement and DEMAND that Illinois officials do their sworn duty and provide you with EQUAL PROTECTION OF THE LAW and in particular protect your FIRST AMENDMENT RIGHTS. Illinois is on the verge of Bankruptcy and losing population because of the rampant corruption that this State enjoys. The WAR ON THE ELDERLY AND THE DISABLED rages with the aid and comfort of the POLITICAL AND JUDICIAL CLASS and elected officials and the Illinois Department of Revenue FUND THE PERFIDY by ignoring the INCOME TAX LIABILITY that the co-conspirators jointly and severally are liable. My demand for an HONEST INVESTIGATION published in PROBATE SHARKS cost law license suspensions for both JoAnne Denison and yours truly — Yes the action taken by the authorities was wrong – BUT the RULE OF LAW has been abrogated unilaterally by the corrupt POLITICAL AND JUDICIAL elite. Such is the bottom line. Democracy is not a spectator sport – here in Illinois it is a high wire action without a net! I copied Federal and State authorities and by this memo beg for them to MAKE AMERICA GREAT AGAIN by just enforcing the RULE OF LAW without discrimination and with an eye to making us (the great unwashed) equal in the eyes of the LAW to the REINING MEMBER OF THE POLITICAL AND JUDICIAL ESTABLISHMENT! I want to let you know that my next site on wordpress to expose corrupt judges like John C. Griffin is up and hopefully running, you can see at at Corrupt Judge John C. Griffin. The next step is to create another site on blogspot; and for a better exposure consider the option to purchase a BILLBOARD space (I plan to create a fundraiser on gofundme.com for it, a large billboard on prime location is about $5,000.00 per month, which is not affordable for me. And share an article how much taxes pay millionaires in San Francisco on their community property – $14.00 PER YEAR – which their HOA failed to pay. The first question – how Feinstein and Pelosi can afford a million-dollar house if they paid about $160K per year? No surprise that they cannot pay common area taxes – all money invested in the houses. Second – HOA failed to pay taxes for years – where are residents’ dues? SAN FRANCISCO (AP) — These days, the price of a San Francisco home can easily top a million dollars. But one savvy investor has bought up a whole street in the city’s most exclusive neighborhood for a mere $90,000. Thanks to a city auction stemming from an unpaid tax bill, Bay Area real estate investor Michael Cheng, and his wife Tina Lam, bought the street and now own the sidewalks, the street itself and other areas of “common ground” in the private development that, the San Francisco Chronicle report ed, has been managed by the homeowners association since at least 1905.